A celebration of Chinatown, its story, its heart and soul. The theme for our festival is “connection”. 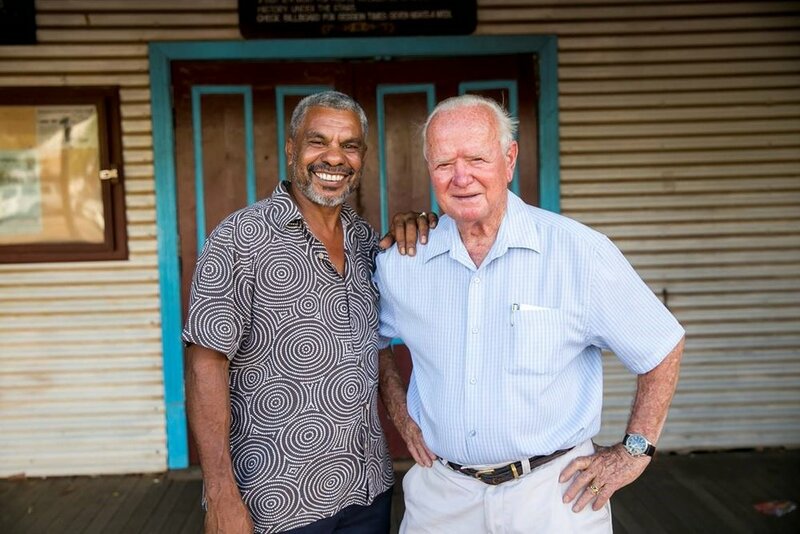 The Broome community past and present are connected through our memories, our stories, our history, our experiences and the region we all call home and this should be celebrated and shared with our residents, visitors and guests of Broome. The majority of the festival’s programme has been created by our various cultural and artistic groups within the community with performance, dance, music, literature and visual arts on offer. A big thank you is required to all the organisations who are involved in making this festival uniquely Broome, uniquely Chinatown. The first Chinatown Games were held during Shinju in 1999 and ran until 2002. The Pearlers' Games are modelled on this past popular event. From Rickshaw Racing, Pearl Packing, Rope Haul and Coil, to Tug of War and Flipper Race, you can expect a whole lot of fun! To register a Corporate Team for the Cygnet Bay Masters Cup register at HERE. To register as an individual for any of the four social events including the Bill Reed Flipper Race, Anastasia’s Pearl Pack and Willie Creek Diver Collection go HERE. To register your 6-8 person team for the Hutchinson Real Estate Tug-O-War go HERE. Please note: These games are conducted on bitumen, therefore there are risks associated with participation in these games which may result in personal injury. Please take responsibility for your own safety by wearing suitable clothing and be aware of the risks associated with any health conditions you may have. Participation in these games is voluntary and is at your own risk. 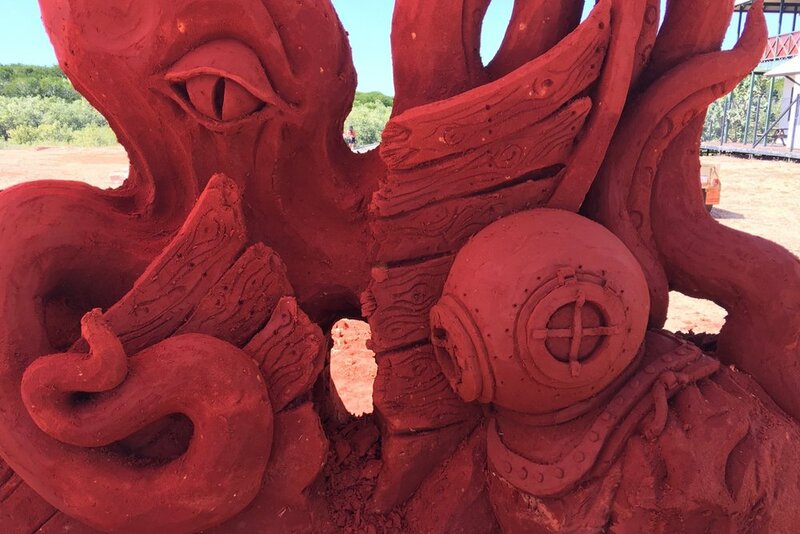 The team from Sand Sculpture WA return to Broome to carve a design in response to the festival’s theme “connection”. Come down and see Tim at work from Wednesday 22 May at Streeter’s Jetty! 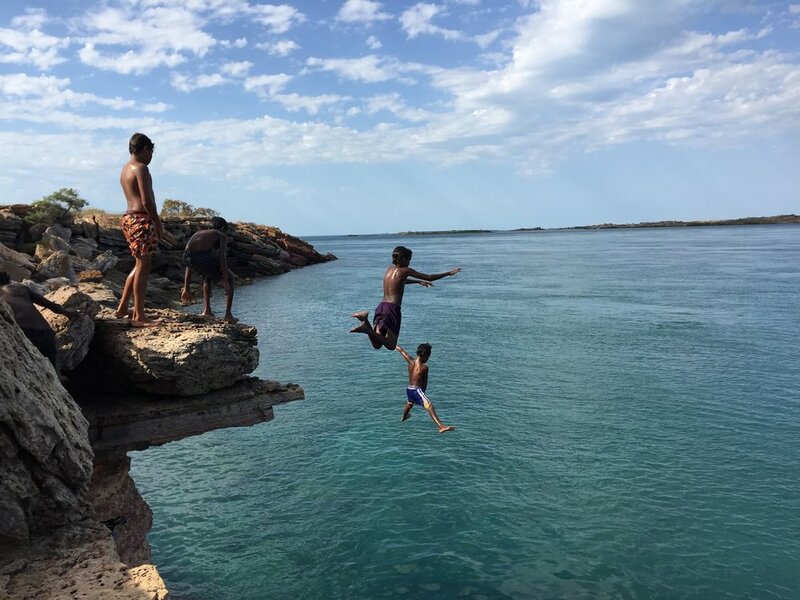 Meet at the Roebuck Bay Lookout to listen to Aboriginal elders talk of their connection to Country, how they lived and hunted, the Bugarrigarri (dreamtime) and the living cultural knowledge they share. Damper and tea will be provided for the early birds! This is a free event, however registrations are required HERE. 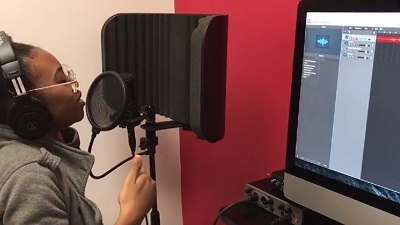 The Goolarri Sound Booth will be set up in Chinatown to give community members, invited guests and visitors an opportunity to record their memories of Chinatown. These recordings will be kept for future documentary content and potential sound installations. All participants will be given a copy of their story. Visit Allure South Sea Pearls Boutique to view an exhibition of images and equipment that celebrates and educates on Broome’s Pearling industry. On Saturday 25 May, from 10.00am visit to hear from Neville Poelina on his stories of the pearling industry and growing up in Broome. On Sunday 26 May at 2.00pm Marie Gamble will talk with Bill Reed on his book ‘The Long Road to Broome’. Follow the artist trail around Chinatown to watch artists creating and exhibiting their work. This large scale interactive sculptural work has been created by Australia’s renowned puppetry company - Spare Parts Puppet Theatre - in collaboration with designer and puppet maker Leon Hendroff. Hand-woven using more than one kilometre of rope, the giant illuminated puppet is waiting to be brought to life. This mesmerising installation invites twelve bystanders to become puppeteers. A joyful, engaging and visually stunning work for all ages. Indigenous, Japanese, and Chinese cultures were just some of the influences when growing up in Chinatown. Take a look back as you move forward through the Paspaley Boutique Lane. This is an interactive performance so please be patient. This is a free event, however registrations are required HERE. 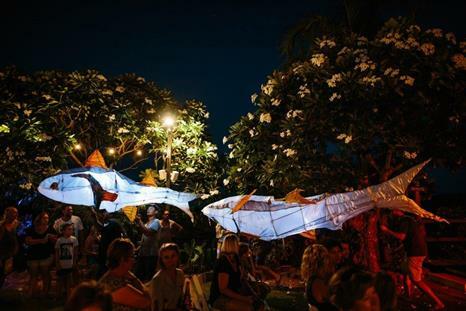 Immerse yourself in Chinatown’s bygone era with the Broome Performing Arts Co-Operative’s interactive Johnny Chi laneway experience. This is an interactive performance so please be patient. This is a free event, however registrations are required HERE. Meet outside the Visitor Centre for Doug Fong’s tour of Chinatown past and present. Make sure you wear comfortable shoes, a hat and bring water. Walk to Sun Pictures, Streeter’s Jetty, Johnny Chi Lane ending at Son Ming restaurant. Tickets are $15. To register please go HERE. Over a hundred years ago, when Broome was the epicentre of the world’s pearl and shell trade, a diver discovered a perfectly round, large pearl of outstanding beauty. Over the next few years violence and death stalked anyone associated with the pearl… Come and hear the tale at Streeter’s Jetty with projections from Chinatown in its pearling heyday projected onto the surrounding buildings. This roaming massive puppet curlew will fly the streets of Chinatown keeping an eye out for molluscs and small lizards. Don’t get in her way! Screening a selection of Broome documentaries featuring well known Broome residents. Topics range from the pearling industry to telephone operators, musicians to food. A fascinating record of the past drop in at any time to view a piece of history. 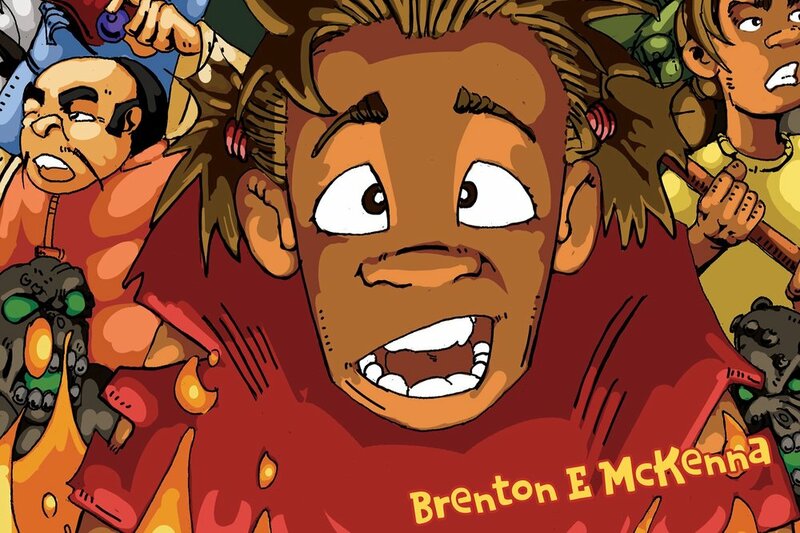 Brenton 'Ez' McKenna is a Yawuru artist and writer from Broome. The Chinatown Discovery Festival is proud to host the launch of his third graphic novel in the Ubby Trilogy. 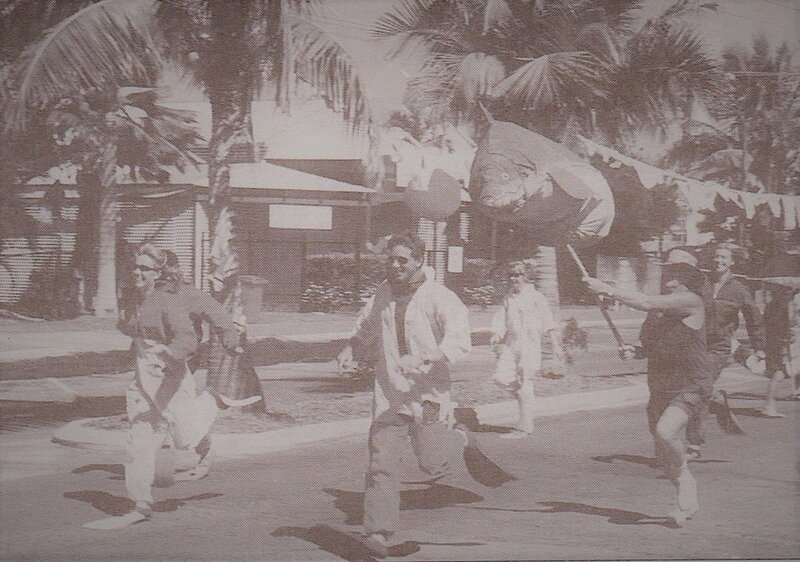 It is the late 1940s and Broome, a small pearling town in the heart of an ancient land, is still recovering from WWII. Ubby, a smart, street-wise Aboriginal girl, is the leader of a small rag-tag gang known as the ‘Underdogs. Enjoy the tunes of Eloy Cardenas or Byron Lerner while savouring the fresh flavours of Vietnam especially selected for Friday’s set menu at Mr Saigon. For more information, detailed menu and to book a table please call 9192 2759. Enjoy six courses with six matched wines at the Pearlers’ Bar and Bistro at The Roey Hotel. You will be treated to an extensive custom menu with each course beautifully paired with a specific wine. A wine representative will be there on the evening to share information and speak about each hand-picked wine. Tickets are $70.00. Please call 91921221 to book a place. In the style of ‘Whose Line Is It Anyway?’ and ‘Thank God You’re Here’, The Big HOO-HAA! sees two teams of fearless comedians take to the stage to do battle in a competition of wit, humour and bad mime skills. It’s a no-holds-barred race to the punch line. This is an interactive show that uses audience suggestions to create improvised comedy sketches. Tickets can be purchased HERE. Meet inside Son Ming Restaurant to enjoy Chinese tea and appetisers while listening to stories from people involved in the creation of Broome’s beloved historical book ‘Beyond the Lattice’. ‘Beyond the Lattice’ interweaves the insights of the people, politics and atmosphere in Broome at a time when Broome was the global pearling centre of the world! Afterwards, you can venture up to the Yu Family Museum (only six at a time please!) and browse this unique display. Morning tea is $15. To register please go HERE. Music leaves an impact and none more than the songs and musicians from when we were growing up. This night is a special evening for long time Broomies, cause sometimes it only takes one song to bring back a thousand memories it will also be a magical night for new Broomies and visitors cause wrapping yourself in joy is a damn fine way to spend an evening. Come and hear the heart and soul of Broome and be inspired by the past and future talent held in this town. Ticket link will be published soon.